Dress up like royalty when wearing this King crown. 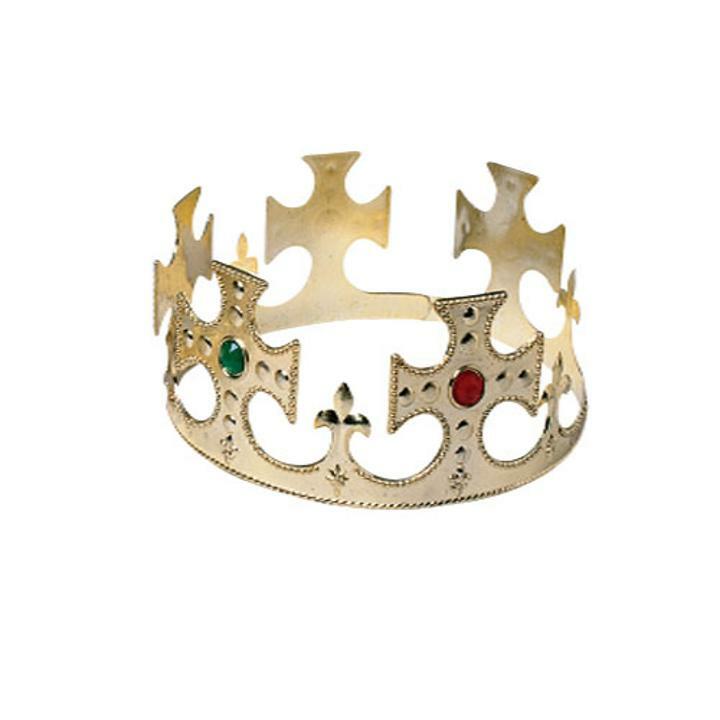 These sturdy plastic crowns are decorated with plastic jewels for an authentic royal look. Wear them for a Mardi Gras celebration or as part of a Halloween or masquerade costume. Stock up on all your costume accessory and hat needs with US Toy. We have a wide selection of novelty, career, costume and whimsical hats to suit any occasion. You'll be sure to find the right hat for your next party or costume with US Toy. L: 3.8 in. W: 0.65 in. H: 25.55 in.